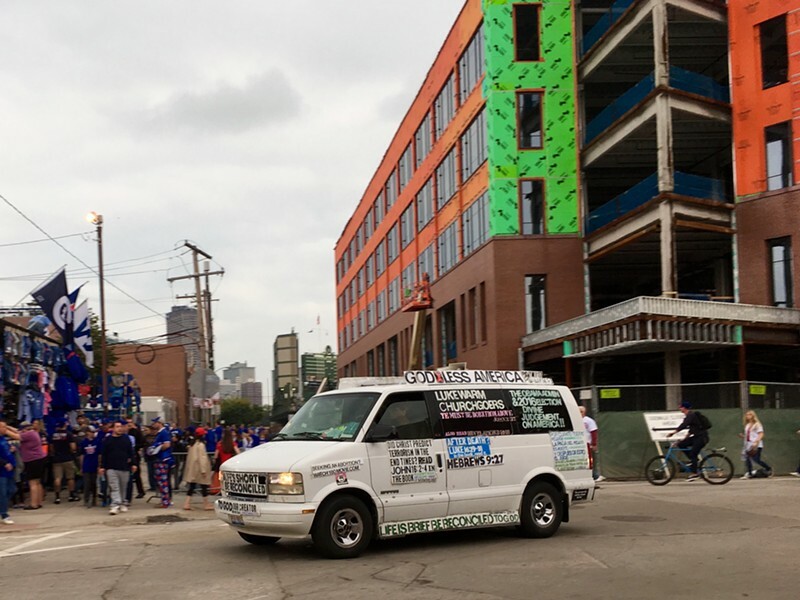 Outside Wrigley Field, a van driven by an acquaintance of Steve the Rebuker evangelized before game two of the NLCS. 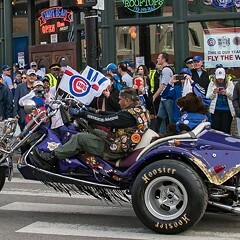 The crowd started gathering around Wrigley Field midafternoon on Sunday, approximately four hours before the Cubs were scheduled to face off against the Dodgers in game two of the National League Championship Series. And on the corner of Addison and Sheffield, amid the stream of fans, vendors, drinkers, gawkers, and wanderers all clad in blue, stood one lone stout, white-haired figure in red with a hands-free microphone over his ear and Bible in his back pocket. His name, he said, was Steve the Rebuker. 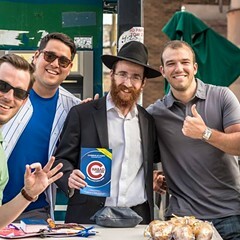 He rooted for neither the Cubs nor the Dodgers. "I'm on Team Jesus Christ," he said, though when pressed, he allowed that he is nominally a Baptist. His mission was to preach the word of God to people. There were a lot of people outside Wrigley Field. He had come armed with a pile of tracts in the form of short comic books published by Chick Publications and a sandwich board bearing a verse from 1 John: "He that saith, I know him, and keepeth not his commandments, is a liar, and the truth is not in him." "Are you saved?" he asked me. "That's not good enough," he said. "You need blood, like in the old temple." "We read that chapter. Doesn't that count?" "I used to read your paper in college," he told me. "It was a liberal rag then." "It still is," I assured him. "It's a lost world," he said. "Most people at your paper are lost." "But the Cubs," I said. "In the playoffs. Isn't this exciting?" "I guess it's neat," he said. 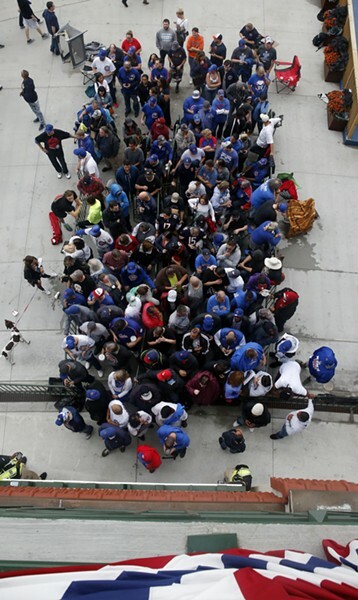 Fans wait to enter Wrigley Field on Sunday. He handed me a tract. It was called "The Contract!" It was about a poor farmer who signed a deal with the devil, in blood, offering his eternal soul in exchange for the location of buried treasure and an opportunity to get revenge on the banker who had denied him a loan. In the end, though, he got out of it by accepting Jesus on his deathbed. I thought the Rebuker would've done better with something more baseball appropriate, like an adaptation of Damn Yankees. "I'll pray for you," he said. 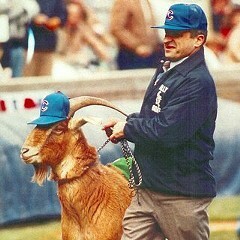 "What about the Cubs? Can you pray for them?" "I don't care about baseball. It's just more worldly stuff." Behind him a white van pulled up. It had been circling Wrigley Field for the past hour or so. A sign on top read god bless america with the B crossed out. the obama admin & 2016 election divine judgement on america. Other signs urged "lukewarm churchgoers" to reconcile themselves to God and recommended that people concerned that the rise of terrorism signaled end times consult John 16:2-4 and women seeking abortions the website 180movie.com ("Eight minds changed on abortion in seconds," goes the film's tagline). A sign on the back advised, "Impatience causes collision." A loudspeaker from the top blared grim statistics about the rise of cohabitation and divorce. "Christ died for you! It's time to make a decision!" Steve the Rebuker went to speak to the driver. They were slight acquaintances, though Steve eliminated "the Rebuker" from his self-introduction. They chatted briefly, then the light turned green and the van continued north on Sheffield. Steve the Rebuker returned to his post. The crowd of people in blue streamed on around him. 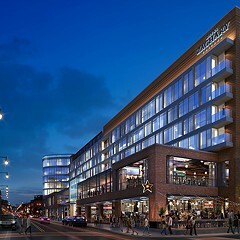 New construction around the vintage stadium is large-scale and upscale. This Could Be Your Last 5 Mintes Alive! Before it's too late, read about those strange little religious leaflets that people hand out on street corners.